On October 13, 2014, SAIC and MIIT jointly issued “Opinions on Reinforcing Collaboration on Supervision of Domestic Online Trading Websites and Active Promotion of the Development of E-commerce”. Simone IP Services has provided a translation here. 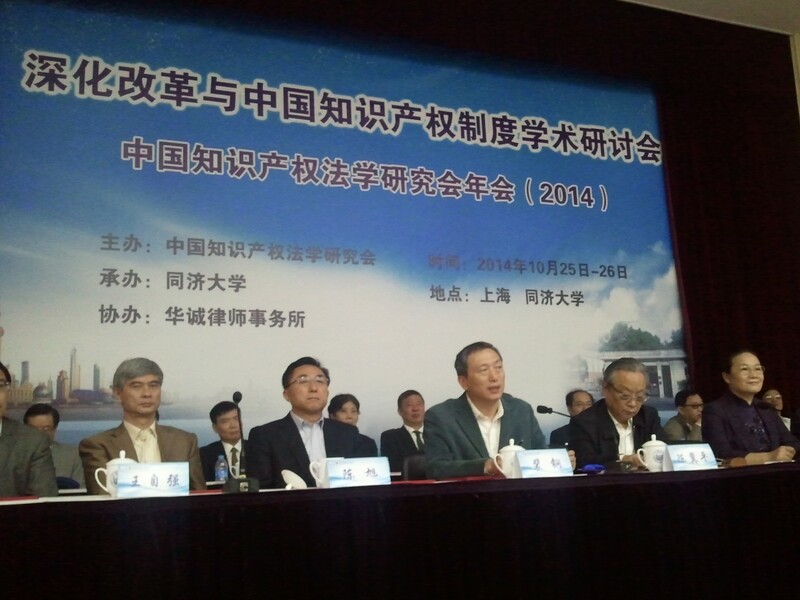 The original announcement of SAIC is found at: http://www.scaic.gov.cn/zwdt/zxfb/201410/t20141013_177728.html. Online infringement has also been a focus of the National IP Leading Group. It issued a “Strategy for Working on Striking Against Infringement of Intellectual Property and the Manufacturing and Sales of Substandard Products in the Online Environment” ( 打击联网领域侵犯知识产权和 售假冒伪劣商品工作方案 ) on June 18, 2014 to step up enforcement and coordination for the second half of 2014. Although this Opinion appears to be a positive step, greater international collaboration with on-line infringement a focus on the domestic environment may also need to be supplemented with increased international cooperation to address cross-border trade in infringing and substandard products. The Stanford Guiding Cases project has recently released a translation of an IP-related case on enterprise name protection, Tianjin China Youth Travel Service v. Tianjin Guoqing International Travel Agency, A Dispute over an Unauthorized Use of Another Enterprise’s Name. The Stanford website describes the case as involving the protection of an abbreviated enterprise name that has been widely used externally for a long period of time and that functions as a trade name, and protecting against keyword purchases by a business operator who uses that enterprise name without authorization causing the public to be confused and misidentify the enterprise. The court relied upon relevant provisions of the Civil Law, the Anti-Unfair Competition Law and the Interpretation of the Supreme People’s Court on Several Issues Concerning the Application of Law in the Handling of Unfair Competition Civil Cases (2006). In holding that the abbreviated enterprise name also functions as a trade name, the court also noted that the Communist Youth League Tianjin Committee had issued a certificate stating that “Tianjin Qinglü” was the abbreviated enterprise name of Tianjin China Youth Travel Service, a State Owned Enterprise and that the name had been adopted by media outlets. This guiding case was decided by the Tianjin High Court, which ordered compensation of 30,000 RMB, an apology and enjoined further infringing conduct. This case offers potentially useful guidance for foreign-invested enterprises whose trade names enjoy market visibility and are known to the relevant public. These trade names may be deemed an “enterprise name” and enjoy protection from unfair competition. Foreign companies often have trade names thrust upon their trademarked product or enterprise names when the Chinese consuming public believes another name may be more appropriate (e.g., Wrigley’s “green arrow” gum). This case may offer some guidelines for developing strategies to protect those names from enterprise name “squatters,” including in the on-line environment. The US-China Business Council recently released its annual China Business Environment Survey Report (http://uschina.org/reports/uscbc-2014-china-business-environment-survey-results). Intellectual property enforcement climbed the ranks to number 2, just after concerns over competition with Chinese companies in China. Companies positively noted certain IP developments, including more administrative actions, greater attention to the IP legislative framework and China’s incipient efforts at developing specialized IP courts. Forty-nine percent of the respondents indicated that criminal enforcement was not a viable option, and only eight percent of the respondents indicated that criminal enforcement was a successful channel – the lowest of any enforcement channel. There were other top 10 concerns that related to IP, including concerns over uneven enforcement of the laws and AML enforcement, transparency and national treatment. Other concerns related to IP include technology transfer (ranked 11th), antitrust enforcement(ranked 22nd), and innovation policies (ranked 24th). Sixty-two percent of companies report that they are concerned about transferring their technology to China, particularly as it relates to the protection of intellectual property rights and proprietary information and the enforcement of technology licensing agreements. Forty-eight percent of the companies also surveyed said that they limited R&D activities in China due to China’s IP environment. Clearly, IP and licensing concerns are impacting China’s ability to attract cutting-edge technology from foreign companies. On October 14, 2014, the Supreme People’s Court published a draft judicial interpretation for public comment: “Regulations of the Supreme People’s Court on Certain Issues Related to Trials of Administrative Cases Involving the Grant and Confirmation of Trademark Rights.” (最高人民法院关于审理商标授权确权行政案件若干问题的规定). This is one of two planned JI’s to implement the revised trademark law. The second JI will consider trademark infringement matters. Comments on this draft are due by November 15. Attached is a the translation of this draft JI for public comment, provided by Joe Simone of Simone IP Services.